Educate your Customers. My goal as your agent is win-win. Making you aware of the opportunities that exists today versus purchasing later is a way to help you achieve your goals and a way for me to increase my business. Anyone worried about the stability of their employment or a decrease in earnings, should take this opportunity to refinance and lower your monthly payment is something you should consider now. Look at it from another angle. There are a lot of people out there whose investment portfolios were almost cut in half from the 2008 market crash. Now, with the market reaching new highs, they may be questioning their investment strategies and real estate has long been one of the most stable and predictable investments around. In an environment where your portfolio is not generating a return, it might make sense to put your money into the purchase of a second home or investment property. Times like these produce better values in the market and with interest rates at current levels, the saving created by locking in rates now will pay dividends for many years to come. 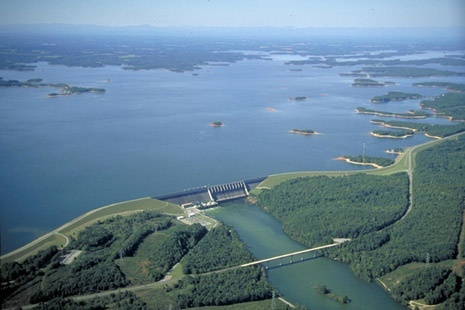 Lake Hartwell was built by the Corps of Engineers between 1957-63 for flood control, water quality, water supply, and hydroelectric power generation. And, that it is 660' above sea level with 962 miles of shoreline. 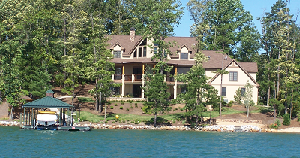 Lake Keowee was built in 1976 for water supply, to cool Duke Power's Nuclear facility, and is 800' of above sea level. When the facility is at maximum capacity it generates power equivalent to burning 27,000 tons of coal per day! Last year I wrote that the time to buy real estate would be Summer to Spring 18 if you were in the market and looking for a bargain. Looking back, timing couldn't have been better. Now late 2018 the market has begun to sustain from a bottom and long-cycle assets like houses are beginning to see gains in pricing. The latest Multiple Listing numbers suggest housing prices continue to increase and are now poised to remain strong through the remaining year. Not saying we're in for another Real Estate boom any time soon, but in certain markets, homes are selling nearly as fast as they come on the market! New home construction is reaching a fevered pitch with several local home builders booked two years in advance. With that, building lots are beginning to see a turn-around too. That being said, there are still several great real estate bargains out there in some of the higher price ranges. Savvy buyers have been picking up some pretty lucrative properties with others waiting to be scooped up for those brave enough to "dip their toes in the water" (no pun intended). Like many aspects of the financial crisis, the dark clouds that have gloomed over the real estate market seem to be clearing. Although it has taken much longer than anyone expected, the winds of change seem to be blowing in the right direction for sunnier skies. Given the recent economic and political news and that unemployment is improving in most parts of the country. We're seeing increased need for office space and retail leases are on the rise. Consumers have been spending, returning to malls, but with sharper pencils. Rock-bottom interest rates have allowed strapped developers and real estate owners to refinance on favorable terms. We could see another slight downturn in the market, but think it will be less severe than the previous. The new government administration has too much to lose by allowing the stock market to "double dip" and will keep the stock market up and interest rates down for the foreseeable future. I believe it's time to reevaluate your exposure to the real-estate sector. In my view, real estate belongs in every diversified investment portfolio. It's not highly correlated to equities or fixed income, and it offers income opportunities as well as a potential hedge against inflation. I've been keeping some cash on hand designated for real estate, and I'm thinking it's time to put some of it to work. 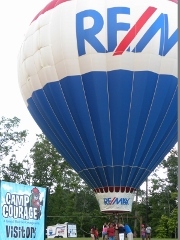 The Remax Balloon recently make an appearance at Camp Courage, an outdoor camp for kids with special needs. We were able to give balloon rides to nearly 70 children on a perfect evening in the mountains. Smiles on the kids faces going up in the balloon were priceless! 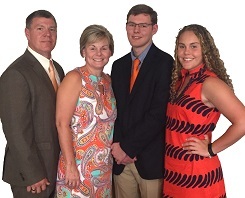 Kim, Conner, Lydia, and I would like to thank all of you for your thoughtfulness throughout the year. With your help we were fortunate enough to sponsor 10 children from our local Department of Social Services for the Holidays last year and we're sending 50 children to the Shriner's Circus this year! Throughout the year, don't forget about the less fortunate, especially the children. Thanks to all of you!